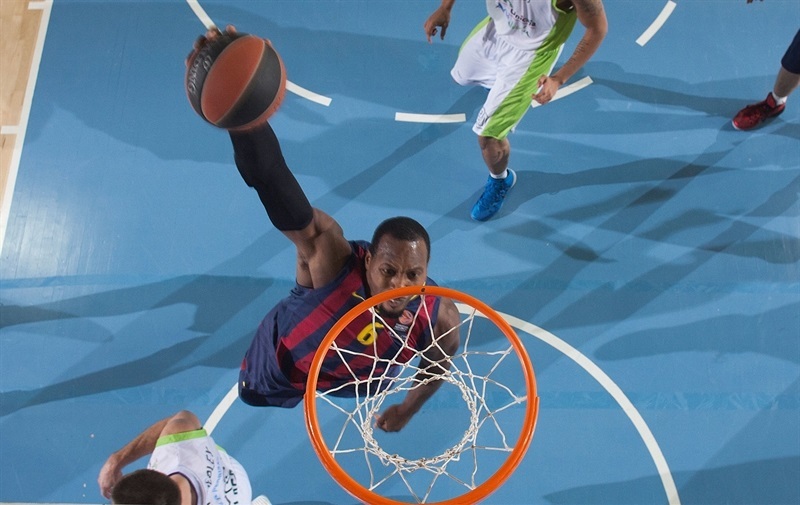 In an all-Spanish showdown, FC Barcelona stayed undefeated in Group E by downing Unicaja Malaga 83-79 at home on Thursday. 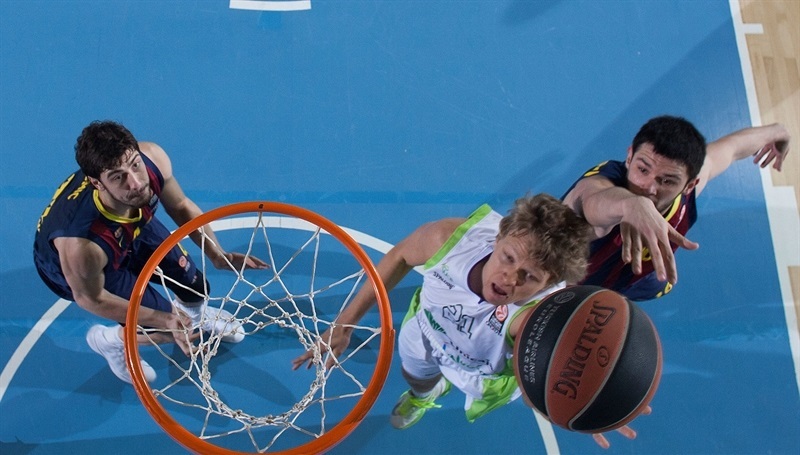 Barcelona improved to 4-0 with its 16th consecutive Top 16 victory, while Unicaja dropped to 2-2. Bostjan Nachbar paced the winners with 13 points, including a decisive three in the final minute, while Juan Carlos Navarro and Kostas Papanikolaou added 12 points apiece. Marcelinho Huertas contributed 10 points and 6 assists to the winning effort. 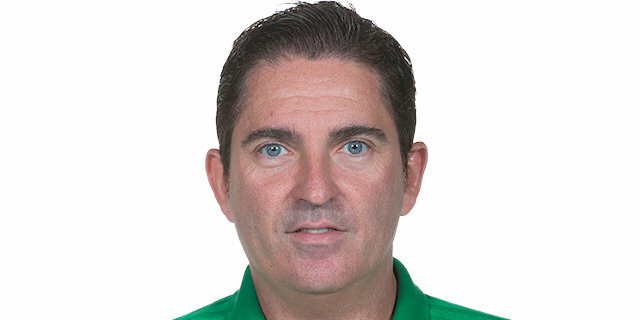 Carlos Suarez made 5 of 9 three-pointers to lead Unicaja with 15 points and Nik Caner-Medley scored 12 in defeat for Unicaja, which was without Ryan Toolson and Fran Vazquez. Papanikolaou and Erazem Lorbek fueled an opening 11-2 run, but Caner-Medley and Suarez allowed Unicaja to get within 25-24 after 10 minutes. The game remained close into the third quarter, when Suarez struck three times from downtown and got plenty of help from Jayson Granger for a 61-68 Unicaja lead late in the third quarter. 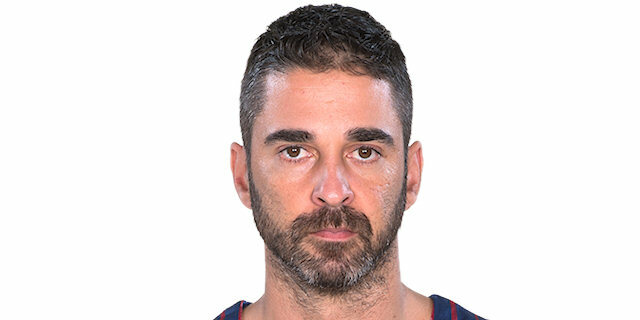 Navarro had 8 points in a mammoth 18-2 run that Nachbar capped with a triple for a 79-70 Barcelona lead en route to the win. 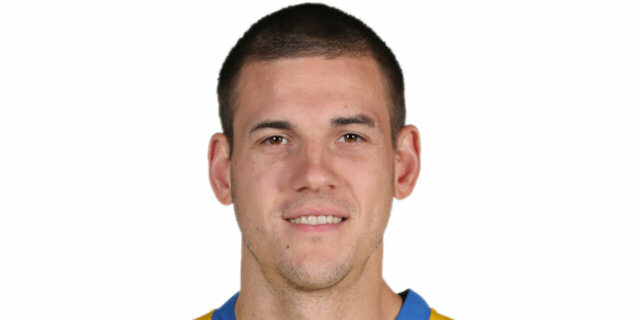 Erazem Lorbek got Barcelona going with a jump hook and a three-pointer by Papanikolaou soon gave the hosts a 5-0 lead. 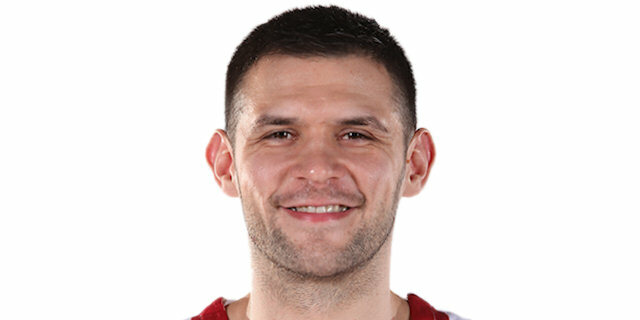 Mindaugas Kuzminskas scored in the low post, but Papanikolaou erased it with a layup and back-to-back baskets by Lorbek forced head coach Joan Plaza to call timeout at 11-2. Kuzminskas sparked Unicaja with a put-back slam and a three-pointer, but Marcelinho Huertas answered from downtown to restore a 14-7 Barcelona edge. Caner-Medley hit a one-handed floater in the lane, which Papanikolaou matched with a wild reverse layup. Caner-Medley hit a triple. 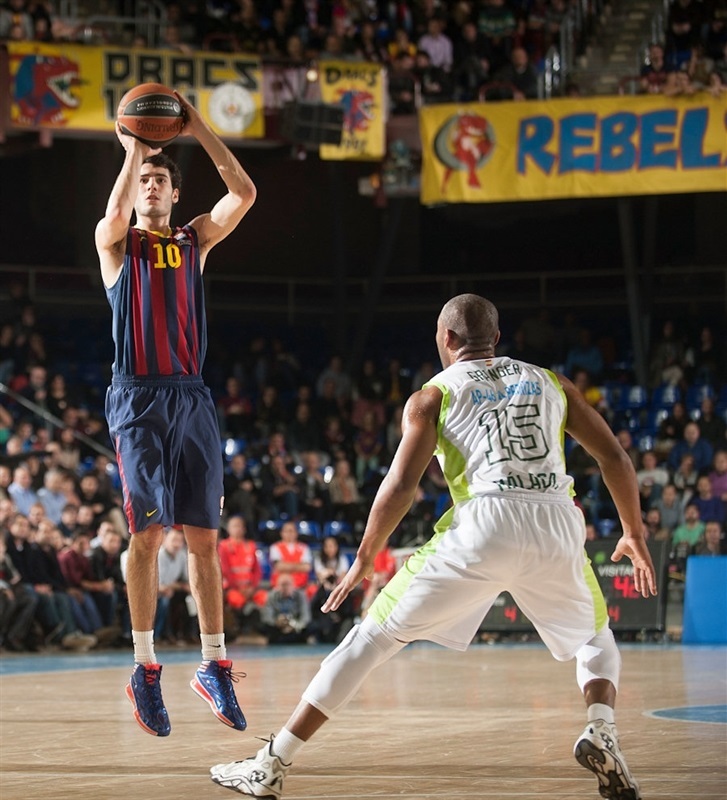 Ante Tomic took over with a layup-plus-foul. 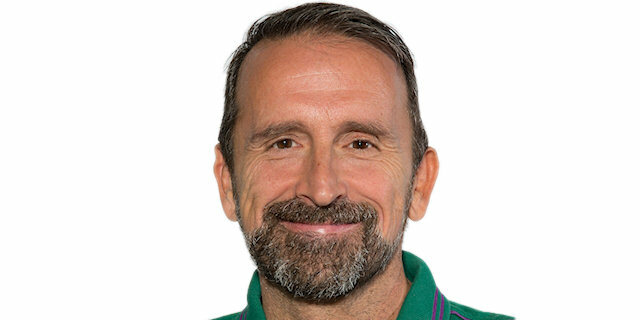 A turnaround jumper by Rafa Hettsheimeir kept Unicaja within 19-14. Tomic and Juan Carlos Navarro made free throws, but Caner-Medley followed a high-flying put-back layup with a triple for a 23-19 score. Navarro hit a fallaway jumper, but Vladimir Stimac scored down low. A huge buzzer-beating three-pointer by Suarez brought Unicaja within 25-24 after 10 minutes. Victor Sada struck from downtown early in the second quarter, but Txemi Urtasun matched it with an acrobatic jumper and a layup by Stimac tied it at 28-28. 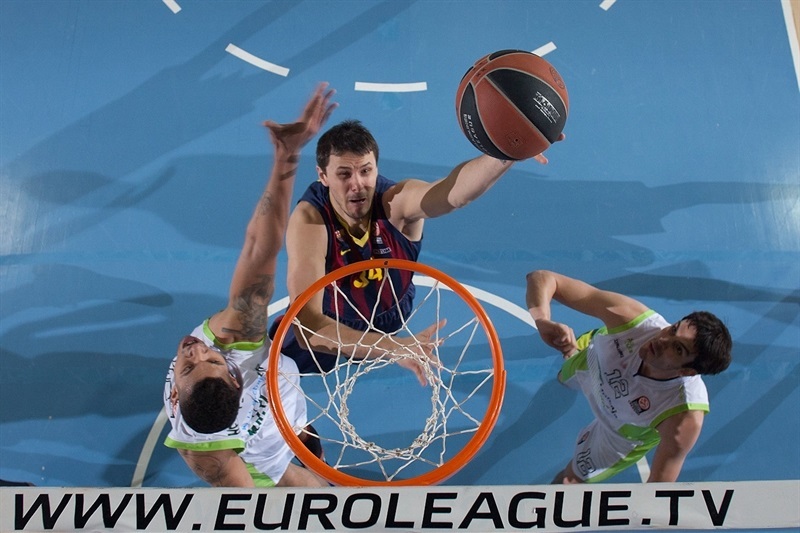 Bostjan Nachbar made free throws and soon added a six-meter jumper to give Barcelona some fresh air at 32-28. The hosts improved their defense while a turnaround jumper by Sada made it a 6-point game. Domas Sabonis stepped up with a put-back basket that Nachbar erased with a driving layup. Hettsheimeir nailed a three-pointer from the top of the key, as Unicaja improved on defense with Sergi Vidal and Caner-Medley at the forward spots. Hettsheimeir insisted from downtown and a fast break layup by Vidal gave Unicaja its first lead, 36-38. Alex Abrines provided a highlight with a big dunk off the baseline and a corner three-pointer by Huertas put Barcelona back ahead, 41-38. A free throw by Granger and a triple by Vidal put Unicaja ahead, 41-42, but Abrines answered from downtown for a 44-42 Barcelona edge at halftime. 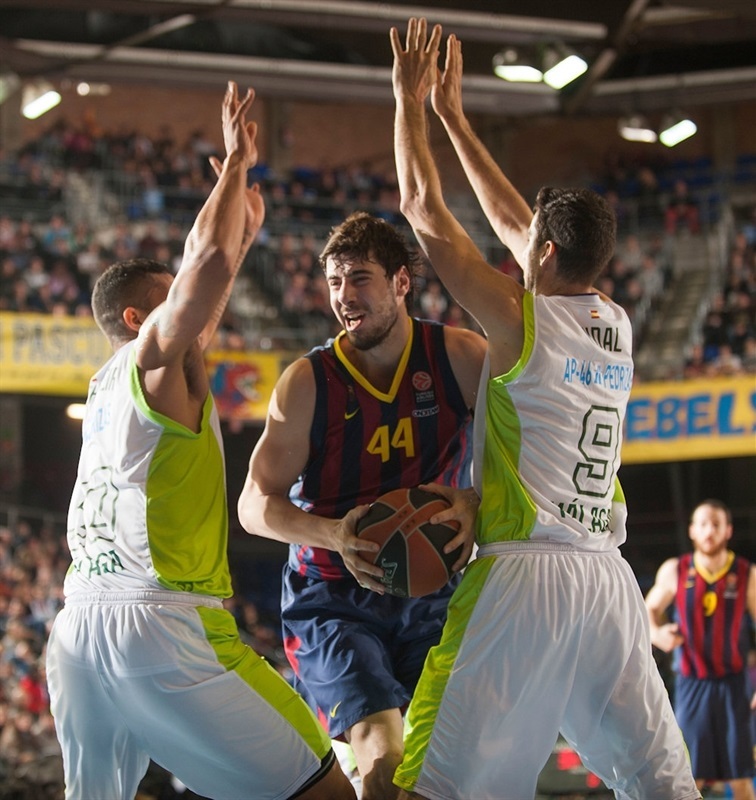 Stimac hit a jump hook immediately after the break, but a layup by Papanikolaou put Barcelona back ahead, 46-44. Suarez beat the shot-clock buzzer with a bomb from downtown only to see Papanikolaou quickly answer with a three-pointer of his own. 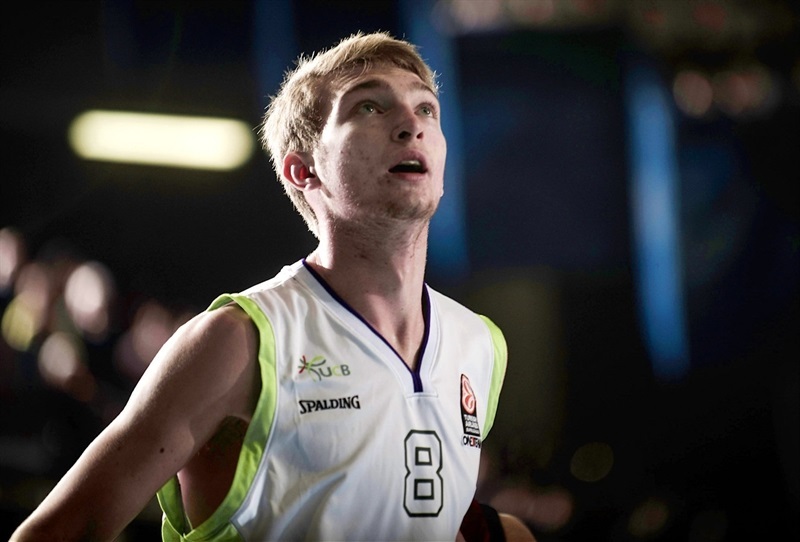 Zoran Dragic scored in penetration and back-to-back triples by a red-hot Suarez gave Unicaja a 49-55 margin. After Abrines made free throws, Stimac scored down low. 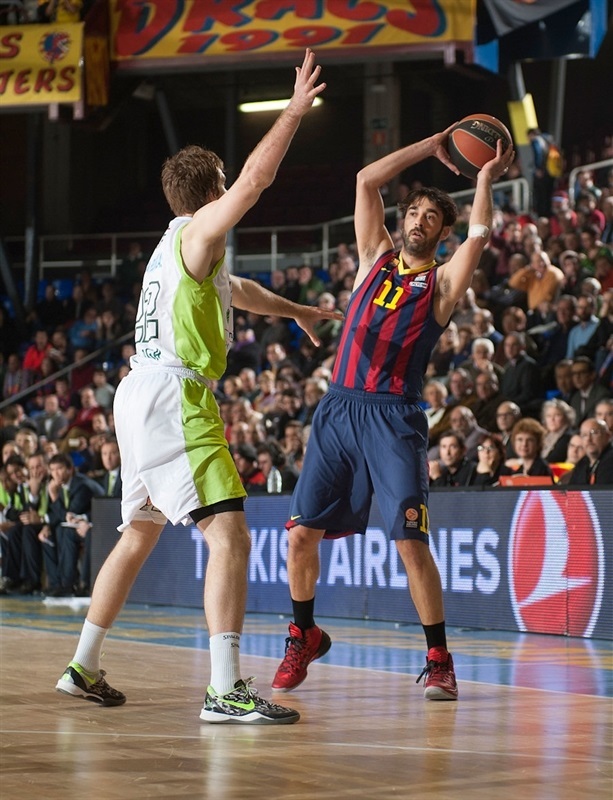 A layup by Tomic kept Barcelona within 53-57. Huertas took over with a coast-to-coast layup and Joey Dorsey brought the hosts a bit closer. 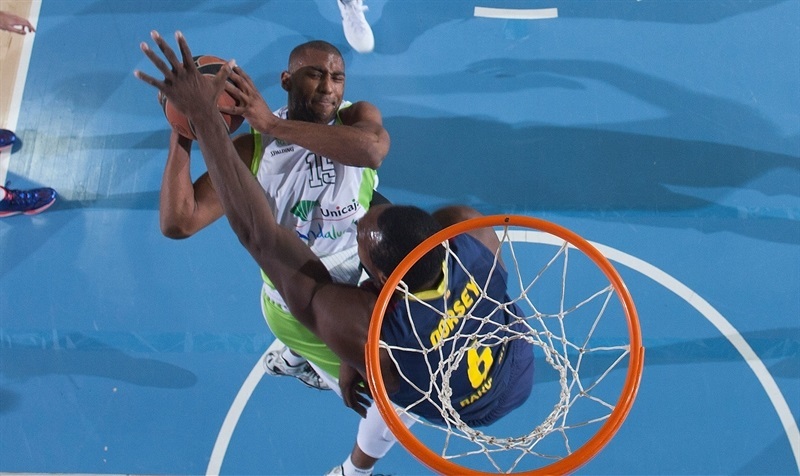 Jayson Granger buried a four-meter jumper, which Dragic followed with a backdoor layup to restore a 56-61 Unicaja edge. Granger scored again, but Nachbar answered with a layup and an easy basket by Huertas made it a three-point game. Granger took over with a wild three-point play and free throws by Caner-Medley boosted the guests' lead to 61-68. A three-pointer by Oleson and Dorsey slam closed the deficit to 66-68. Dorsey ignited the crowd with a huge two-handed slam early in the fourth quarter and a three-pointer by Navarro completed the hosts' comeback, 71-68, after a 10-0 run. Kuzminskas stepped up with a quick basket that a red-hot Navarro matched with a driving layup, causing Unicaja to call timeout at 73-70 with 7 minutes left. Navarro buried a corner triple and a 24-second Unicaja turnover allowed Nachbar to strike from downtown, making it a 9-point game. 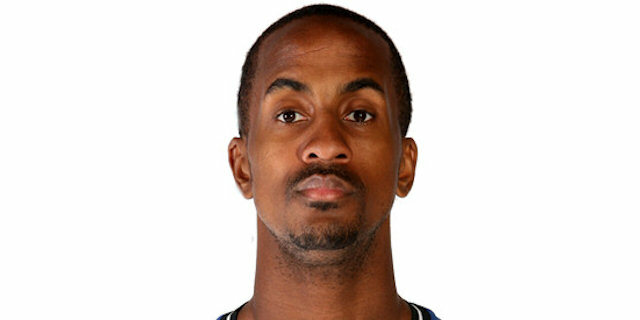 Earl Calloway joined the three-point shootout, but he didn't find much help around. Barcelona started using longer possessions and Tomic finished one of those with a layup for an 81-73 Barcelona lead with three minutes left. Vidal struck from downtown but Nachbar sank another triple that sealed the outcome, 83-76, in the next-to-last minute. Suarez hit his fifth three-pointer but it was already too late for Unicaja, as Barcelona had cruised to yet another Top 16 win. "We are happy with this win. 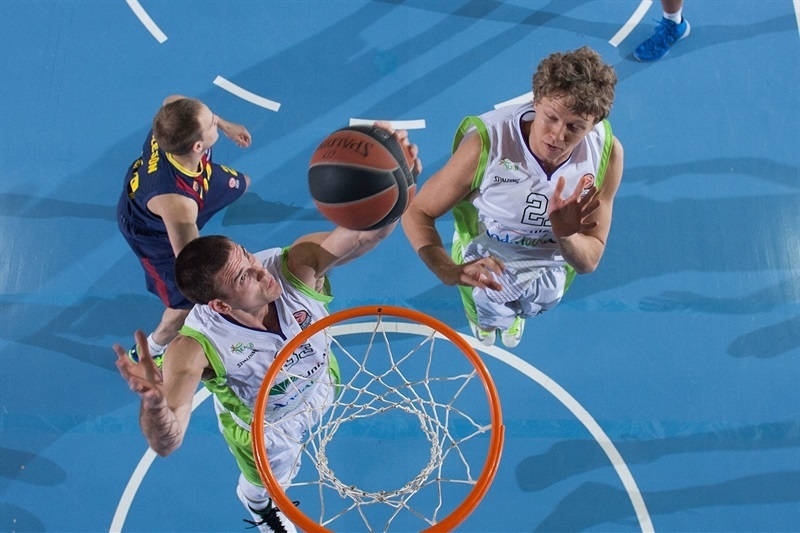 Unicaja was a tough opponent that shot with high percentages. They were able to hit 13 three-point shots, a lot of them against very good defense. We had difficult moments but were able to improve our defense in the fourth quarter, when the game is decided and managed to get this very important win. It is important to start the Top 16 so well because our schedule is very demanding. It is a good situation to face our next Euroleague game on the road against Panathinaikos. We are doing things well, even playing better on the road that at home. Every game is a thrilling challenge, like the next one against Panathinaikos. We are working well but it is not enough. Every game is different. We won five consecutive games for the first time this season and have to keep going. Every home loss is tough and paralyzes us a bit, it is tough to bounce back. Right now we have a good winning streak, which is always important." "Barcelona hit 72% of its two-point shots and 43% of its three-point shots, won in rebounds and assists, but the winning margin was different. We made mistakes and some of them were avoidable. We shot more from three-point range than two-point range, which shows a bad shot selection. We limited turnovers to just seven, but five of them were in the final minutes. We forgot about our frontcourt and without a frontcourt-backcourt balance, we cannot win here. We competed and had options to win until the final minutes but they were more effective. We didn't have that offensive balance and were without two important players. I am proud of my team, we had the game in our hands but were not able to win it. We must keep working. Navarro is able to break open almost any game. It is obvious that we have to play tean defense against him. We managed to do it during this game. 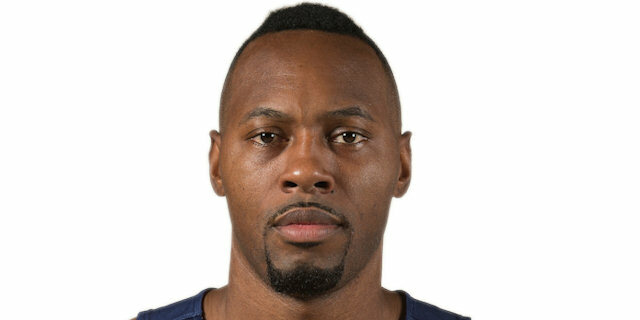 He had 12 points, but eight of them were early in the fourth quarter." "It is an important win for us. Unicaja always made things really hard for us, like they did today. We played a good fourth quarter, better and smarter. We have been able to win five consecutive games, which had not happened in the entire season. We have to keep working in the same direction. We would have liked to play better some months ago, but having so many new players, it was logical. The team is much more solid now because we have not stopped working." "I think we showed character, made some good stops, Juan Carlos took some big shots and scored, once again. We were playing good defense, but they scored some shots anyway, but what remains in the end is the win, and we are very happy that we won another game. We have to go on this way. We're in good shape, in a good situation, but it's still early, just the fourth game. We have to keep concentrating and trying to do our job." "We came together and played good team defense. We had played real bad in the third quarter. We didn't play it like a real Euroleague game. We were too relaxed, but in the fourth quarter we came together and got the whole team involved. Once you get the offense flowing a little, everyone gets intense and that gets the defense going. It was a great win tonight. To be first in the group, undefeated, is great." "I thought we played well. They're a tough team to beat at home, for a lot of reasons, and one of them is that they make you pay for your mistakes. Down the stretch, we just didn't do what it took to win. They shot a really high percentage, we settled for a lot of outside shots. I think we played well and can take a lot of good things from it. They're one of the hottest teams in Europe right now and I thought we competed well here. We can take a lot of good things from this and learn from it. Moving forward, I think we're a team that can compete with anybody." "We made a couple mistakes and they made some shots. They're not the type of team you can let get back in the game, and they did put us away at the end of the game. We kind of gave this one away, but we're still in it, and we can play with any team and beat any team on a given day."